Even though it is interesting to note that recent reports state female workplace bullying is on the increase, causing more people to say they would rather work for a man, we are going to stay focused on the female family serial bully. If you are bullying in the workplace, there is a good chance you are using your bullying tactics in your family life. Bullies feel weak, powerless, and bullying is a practice which mistakenly allows the bully to think she is powerful and in control. Bullying is cowardly, so feeling powerful by taking a cowardly action is puzzling. I’d like to spend some time discussing a bullying action vs a healthy action. We all know a bully’s first line of defense is denial and attack – “I don’t know what you are talking about, the victim is too sensitive” – so let’s tackle that line. If I have power and authority in a situation, it is my ethical and moral responsibility to look out for everyone’s well-being. Actions I can take include checking in with everyone regularly, setting up guidelines for the best well-being for the majority, looking out for the best interest of the group where I have power and authority. Since we are talking about a family and not a large organization, this is a pretty easy assignment. I can easily schedule regular meetings with the family. When there is a significant happy event, I make sure everyone is notified, I check to see if everyone can attend, I help to clear the obstacles that might interfere with his/her attendance, and make sure the operating principle is inclusion. I don’t withhold information, I don’t speak about some family members to other family members behind their back. Inclusion, love, confidence and kindness are guiding principles for me since I have power and authority. If a family member has a challenging event such as a health crisis, I operate with the same principles. With permission, I let everyone know about the event and what the requests is (i.e. please come to the hospital for the surgery). If someone cannot attend, this decision is respected. I make every effort to support and have the family support the person during the crisis. This behavior seems pretty simple and dignified to me, so why doesn’t it always happen? Enter a female family bully and here are some of the scenarios reported to me. Rather than see a crisis/event as an opportunity to bring the family together, the bully will use it to hurt victims. When there is a happy gathering, bullies will manipulate information, so their intended victim will feel excluded, isolated, attacked, ostracized and threatened for starters. If there is lodging, the bully will find the least desirable lodging for the victim. If there are multiple events, the bully will not give all the information, so the victim will not be included at some events by hurtful design. If there is a recommended dress, the bully might leave this information blank. 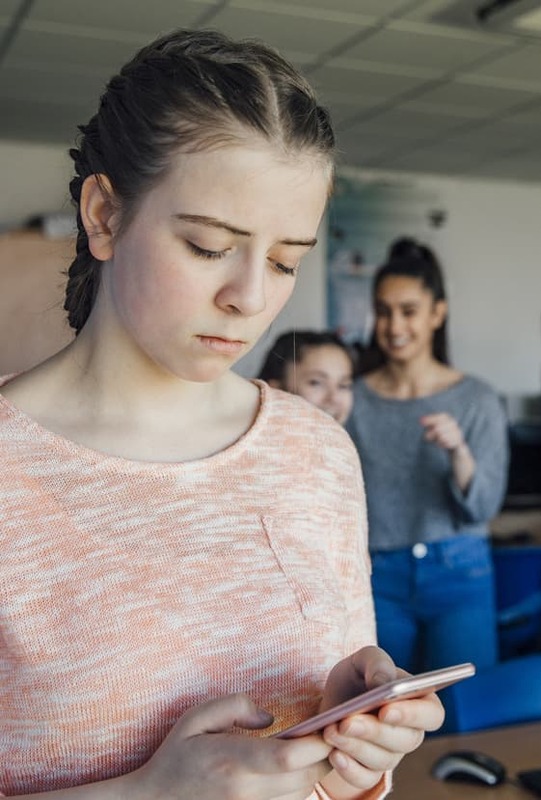 The bully can have “inside jokes,” conversations everyone knows about except the victim, whispering, secrets, finger pointing, shaming, gossiping, eye rolling etc. When there is a challenging task for the family such as a health crisis of one member, the bully can shame and gather other members of the family to shame the victim for what he/she can do or not do for the family member who has the health crisis. How many times have I heard horror stories of people being set up by the bully in their family during a family health crisis? “She wasn’t there for the surgery” (she may not have been told about the surgery), “she only stayed for a short time,” “she was trying to take over,” “she did everything all wrong,” and on and on. Again, this is abusive, bullying and not in the best interest of the family. These actions are not in the best interest of the family, they are for the bully to think she is feeling powerful and in control. I can take care of myself in a healthy way as long as it is not at the expense of someone else. When I have a mission statement that includes having a healthy family with all individuals being healthy, I am not a bully. I don’t have a designated victim. All my actions are for the well-being of everyone. I have confidence in myself, I feel good about myself, I love my friends and family having confidence and success, so I have no need to put someone down. One of the greatest testimonies of confidence is being happy for others’ success. Putting someone down is never going to give me confidence and success so it is a waste of time. When there is bullying, there is always a victim. If I think taking care of myself involves bullying someone else, my personal self-care is unhealthy. Interview anyone in the healthy scenario and there will not be a victim. Interview everyone in the unhealthy scenario and there is a victim. The bully still believes putting someone down or hurting someone will elevate her status/confidence/self-esteem. Bad news; it won’t. “Wow look, I hurt that person, look at the power I have.” No, actually you are a cowardly acting person who just bullied another person. And you are stuck; you are never going to get the confidence and self-esteem you so desperately need. Bullies need self-confidence in order to begin the process of having a healthy relationship with their anger. There is nothing healthy about a bully’s lack of self-confidence or relationship with her anger. Don’t let a bully intimidate you with her denial “I don’t know what you are talking about!” (she does) or attack “You are too sensitive!” (you are not). In part four, we will look at the history of abuse and why it is so important for victims of bullying to understand the dynamics of what is happening to them. We will also talk about how to move away from those situations, find each other and stand up to the bully.